Still have queries? Call us now on +91 98184324000 to get in touch with our LinkedIn Target Advertisement Experts. They will tell you about our exclusive LinkedIn Target Advertisement plans made specially for the businesses like you. Most companies find LinkedIn marketing very expensive and yes it is expensive when compared to other forms of social media marketing. However, it can make a whole lot of difference to your business and sales figures when done correctly. At Indidigital, we ensure that all the money that you spend for LinkedIn ads and marketing is utilized in a perfect manner. Our team maintains the highest standards of professionalism at all times. This combined with their in-depth knowledge of LinkedIn marketing leads to wholesome gains for your business at all times. You can mail us on info@indidigital.in or Call us : +91 9818432400 and begin a new chapter to gain better returns on LinkedIn ads for your business. 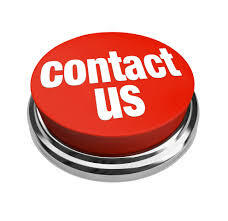 Contact us now, you won’t be disappointed!